Ever been in an embarrassing situation where you had to expose your armpits when they aren't in their best shapes? If you are experiencing dull, saggy skin, sweaty armpits or even odour "down there", don't worry because you are not alone! Personally, I feel that a woman shouldn't have any hair from face down, and hairy armpits are huge turnoffs to me. In order to avoid that, I have been shaving my pits everyday (yes everyday if I remember to) because I am super paranoid about being caught in a situation where I expose my pits to others whether intentionally or unintentionally especially if I go a day without shaving. I mean... what if throughout the day little black bumps start to show??! Hahahaha. SEE! DON'T BE CAUGHT OFF GUARD! Over the years due to constant shaving, my skin on my underarms have become dull, and have started to become saggy. ✓ The first deodorant that contains a firming ingredient, Q10, a co-enzyme that helps tackle saggy skin by providing a FIRMING effect. Apart from the NIVEA Extra White & Firm Q10 Deodorant, NIVEA's whitening range also includes the Extra whitening and Whitening Happy both in roll-on and spray forms! I was very honoured to be invited for the launch of the new NIVEA deodorant which was held at Food For Thought, and look! The entire place was decorated in white and blue, NIVEA's signature colors. ARE YOU READY TO BARE??? Here's me playing with the 2 sprays from the NIVEA whitening deodorant range, the Extra Whitening and Whitening Happy Shave! Gave these 2 a few spritz and I really loved the flowery powder scent hehe. Here are the beautiful ladies I attended the event with, we are all here to tackle our underarm issues together! Just look at everyone's faces as Limaran told us all about the sweaty and smelly armpits she came across.. HAHA! We ended the day of the event with a series of camwhoring sessions because the NIVEA balloons were too pretty to be missed! Here's one with the pretty and tall Valerie, candidly taken by Limaran while we were trying to control the balloons in the wind. HAHA! But the fun didn't stop there because I took home the deodorants and gave it a try myself. 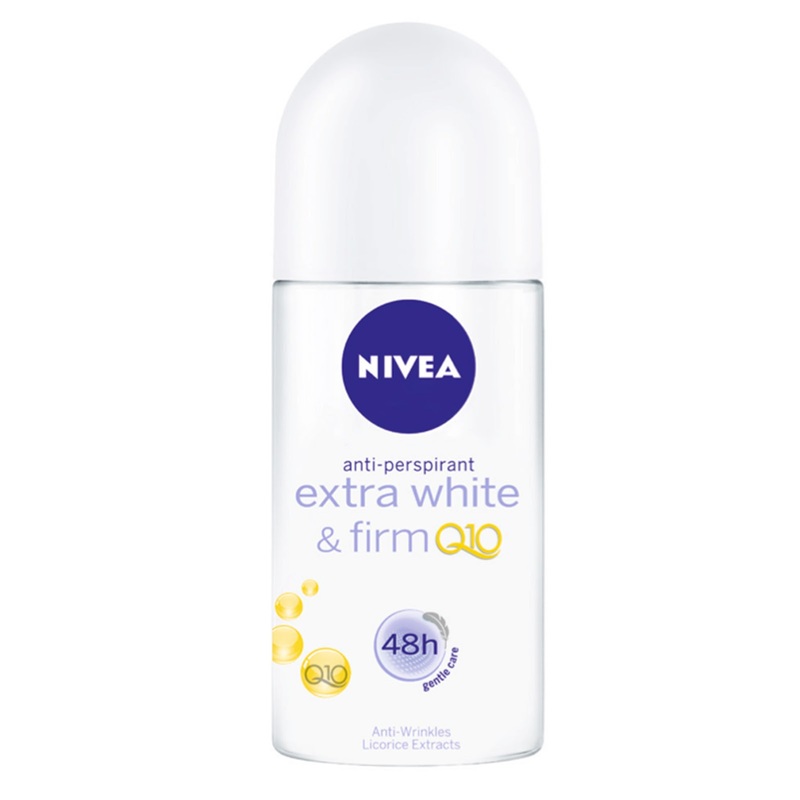 I have been using the NIVEA Extra White & Firm Q10 Deodorant for over a week now, and have been loving it! Now who says you staying beautiful needs to be expensive?